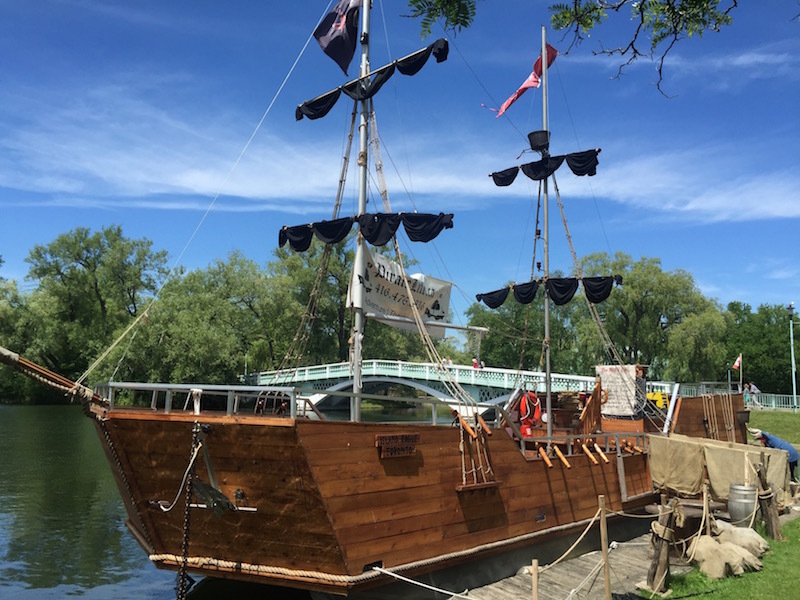 Head over the bridge on Toronto’s Centre Island towards the beach and the first thing you will see this summer is a pirate ship. Kids and adults alike stop on the bridge now mesmerized by what is happening on the ship. The biggest question people are asking is “what is that?”. The answer is Pirate Life Toronto. 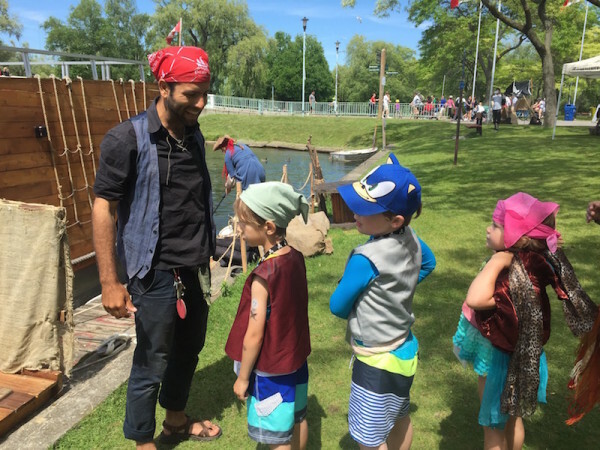 Launched this year, Pirate Life Toronto is an incredible mix of pirate adventure, kids’ camp and theatre production. The minute you arrive and check-in, the adventure begins. The pirates usher your children in and help them and you get dressed for your adventure. There is a large trunk of pirate accessories, face painting and temporary tattoo application to help you get your pirate on. 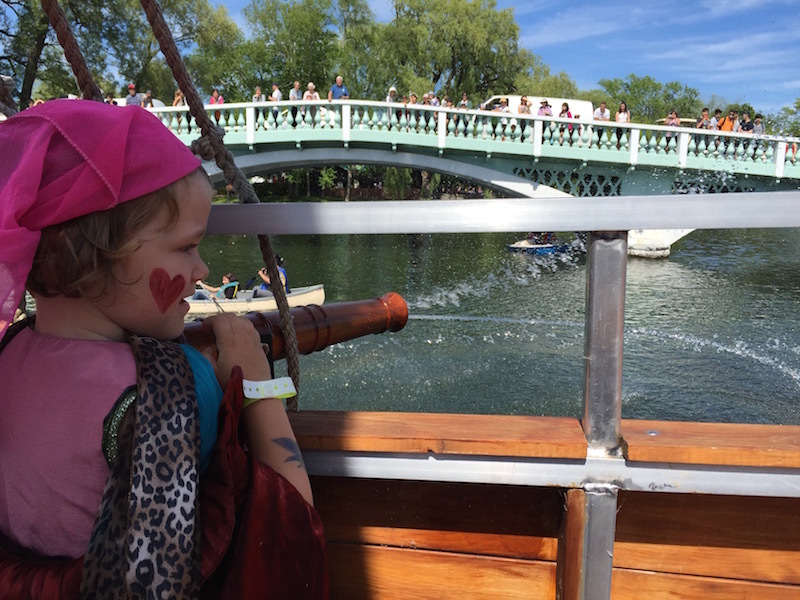 After that, the pirates lead the kids in games on land until it is time to board their ship, the Island Rogue. Where is Pirate Life Toronto? Pirate Life Toronto is located on Centre Island, the most popular of the Toronto Islands. Getting there is quite easy. Head down to the Jack Layton Ferry Terminal which is easily accessible by foot, transit or car. The best parking is located just east of the Westin in one of the large parking lots within walking distance to the ferry. Take the ferry marked Centre Island. When it docks, head to the left with most of the crowd. You will walk past a set of washrooms on your right and then Centreville on your left. Follow the path ahead of you over the white bridge and you will spot the ship. The check-in booth is just at the foot of the bridge near the large fountain on your right hand side. Pirate Life Toronto operates daily from through the end of August. Once school starts back up in Toronto, the ship will continue to sail on weekends and for special events and group bookings on weekdays. The cost of the adventure is $22 per person with kids under 2 riding for free. Tickets are available online and I would suggest booking ahead of time. Not only do you get a free bandana when booking online but you guarantee your spot at the time you want to depart. With younger kids especially this means you don’t need to worry about working around nap time and lunch once you are on the island. When considering the cost of Pirate Life, its important to factor in that this is a 1 and a half hour immersive experience. Every detail has been considered and the cost covers things like face painting for the kids, games before hand and then the actual experience which is sort of a mix of story time and pantomime theatre. Kids of all ages can’t help but get excited as the story unfolds aboard the ship. I truly felt the cost was worth it especially when you consider the rest of the day on the island, you can entertain your kids for free. Pirate Life Toronto is currently launching 6 adventures a day. Its important to get there about 30 minutes before ship departure time to really take advantage of the on shore activities. 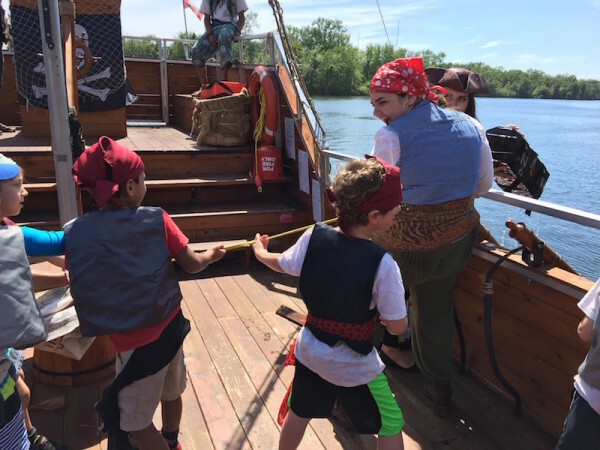 The kids get to play together in games led by the pirates and by the time they get on board the ship, they have become quite the cohesive crew. A complete list of departure times is available here. You can also book out the ship for birthday parties and other private events. Want to check out Pirate Life? Enter here to win 2 tickets to the Pirate Life adventure this summer. What is a pirate’s favourite CFL team? oh my goodness! i forgot the word “pay”! lol sorry. What a pirate’s favorite letter? Because their fathers insist that there are seven Cs!